Paper is a relatively cheap way to read stuff. The infrastructure is already there (paper mills, printers, roads, trucks, book stores, lamps, garbage collection, land fill sites), so the marginal cost of an additional paper book is relatively low. For many book publishers, the infrastructure to publish and distribute ebooks isn't there yet. So, counterintuitively, the marginal cost of each ebook is relatively high. -They don't take up space. -You can buy an ebook anywhere (and I mean anywhere), any time. 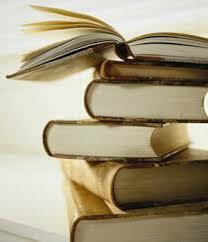 -Popular English language books and classics are easy to find. -Moving forwards, "out of print" books will still be for sale and available. -Price comparison is easy (Kindle Store, iBookstore, Kobobooks, Fictionwise), you don't need to factor in shipping, just the sales tax (Kindle doesn't charge it to Canadians). -They sometimes cost less than a paper book. -Easy to transport. You can have your entire library in your pocket. -No paper cuts, dust, or horrible glue smell. Advantages of a paper book. -You can give it away. -You can show it off (when you are reading it and when you put it on your shelf). -You can damage it without feeling too bad (when drinking, eating, using it at the beach or in the bathroom). -You don't need any special equipment (not an advantage if you already have an iPhone). -Some people think they like the smell and feel of paper books (I don't, in fact, I hate it). -Many people collect books without finishing them. They may loose that collection joy in the digital format. (This is a pretty week advantage if you ask me, but I've read it in so many forums that it must be true). -Books don't run out of battery. I'm an ebook convert. I have the following iOS ereader apps on my iPhone: Kobo, iBooks, Stanza and Kindle. I also read books on my computer, on my laptop and on my TV. I'm deeply allergic to dust and I move, way, way to often. I also live in a small apartment. But the number 1 reason I love ebooks is I hate throwing book out. I just can't. It is literally painful for me to do so. My electronic books I can keep for ever! Stores: Kindle, Kobo, Finctionwise, jelis.ca, iBookstore. Devices: iPod touch ($200), Kobo ($150), Kindle ($205 plus tax when shipped to Canada), Sony eReader ($200), Kindle DX ($350), iPad ($550), iPhone ($800), Android based smartphone (HTC: $500). Nook from Barnes and Noble, only in the USA ($150 for wifi only, $200 for wifi with 3G). I know way too much about ebooks, so if you have any questions about ebooks, please leave them in the comments. I'll respond within 24 hours.